The new model was released in two fuel options, petrol and CNG. There were a total of six trims, a base model, LX and LXi models in both petrol and CNG versions. Now, a new higher trim has been introduced. This latest VXi trim has a few new features added to it and it is also priced INR 14200 higher than the LXi model. Maruti cars are developed, manufactured and assembled locally and that is one of the reasons for the competitive pricing the company has been able to maintain. Maruti Alto price for the VXi trim is laid down as 3.39 lakhs INR for a metallic painted car and 3.35 lakhs for non-metallic colors. The prices are all ex-show room Mumbai prices. As of now, VXi trim has not been released in CNG. The Indian car maker has introduced a few new and useful features in this new trim. The one important feature owners of alto 800 missed was the central locking which is added in the latest trim. The other included Maruti Alto features are rear spoiler, rear parcel tray, 12 V power socket, power windows, side mouldings, wheel covers. Also the wing mirror on the right is expected to be adjustable from the inside. Another feature that will be appreciated is the addition of two front speakers and a stereo system which can support USB. The standard model does not come with airbags but driver airbag can be optionally bought for additional cost. 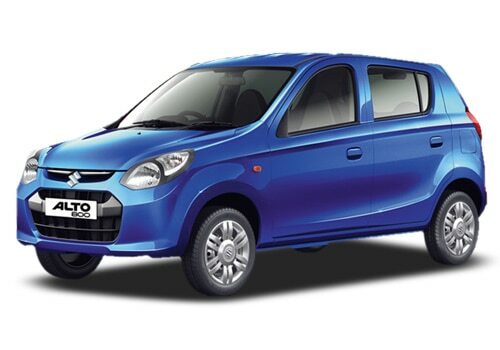 There have been some under the hood changes for the new alto 800 from the older version. The engine used in the new models is the 796cc F8D engine. This 3 cylinder twelve valve petrol engine can produce 48 PS at 6000 rpm. The maximum torque which this F8D engine can output is 69Nm at 3500 rpm. The CNG(Compressed Natural Gas) version of the vehicle is not just good for the environment but also for the fuel costs. It is expected to provide a mileage of 30.46. The mileage of the petrol version is also not bad with a recording of 22.74 kmpl. A standard 5 speed manual gearbox does the job of transmission. The gear shift is new and this cable type gear shift is expected to make gear changes smoother than the previous models. The facelift the car has acquired has really changed its looks. This can be seen when comparing the current and older Maruti Alto pictures.